One does not need to be active in the fashion industry to recognize names such as Gavin Rajah (South Africa), Mai Atafo (Nigeria), David Tlale (South Africa), Kofi Ansah (Ghana), and many more. To wear clothes by some of the afore-mentioned designers has become hip, cool and recently expensive which clearly defines how the African fashion industry has managed to cement itself as an industry of note in Africa. Nonetheless, marketing on a global scale remains something of a stumbling block for most African brands. That and international distribution. The biggest challenge faced by most of the African designers has been to get their products on the global markets/showing at international fashion shows. Despite this being an uphill battle, the last 15 years have shown vast improvement with many African designers being featured in Milan, London and Paris Fashion Weeks. What seems to continuously shock the world is Africa’s advent and rise in the global fashion market. The idea of ever-evolving tradition and cultural interaction, and the great importance of personal appearance on the African continent might scare the average joe into oblivion but to a fashion designer, it is the absolute drive and inspiration. What has been previously regarded as a frivolous career has evolved and become one of the most admired lines of work. Today the fashion industry is a multibillion-dollar global enterprise devoted to the business of making and selling clothes. Most African children grew up hearing that the most notable fashion capitals were New York, Milan, Paris and London and had to rely on television and magazines to see greatness on the runway. This didn’t inspire a lot of aspiring fashion designers, leading them to stick to the conventional careers instead. Within the last few years, a paradigm shift of sorts has emerged in Africa, with the recognition and appreciation of fashion designers. The trick was now to stop looking at fashion as playtime for the girls but as the profitable business that it is. This seemingly impossible task at first is slowly becoming a formidable structure with the help of young Africans who are increasingly hip and knowledgeable. With Internet access, they are plugged into the latest trends from around the world, which influence their taste in fashion even as they incorporate their own stamp of originality. 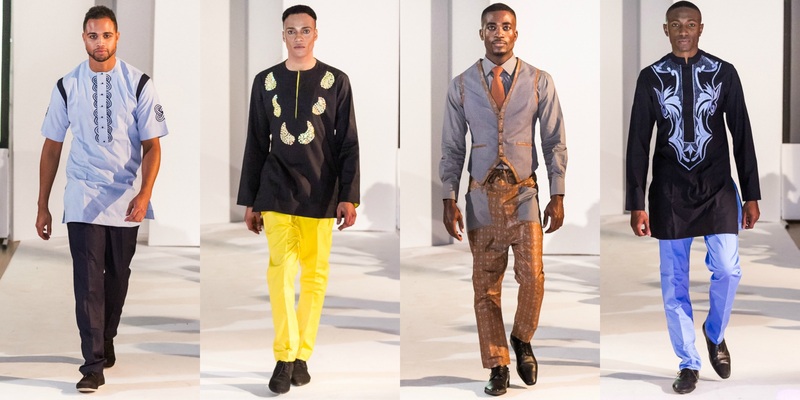 In the past couple of years African designs have made it onto runways in Paris, New York, Milan and beyond. And of course, as with any competitive market, there will always be game changers. Regardless of every other challenge, the most surprising obstacle was being understood and appreciated at home (Africa) as fashion design was denoted as an ‘American’ or a ‘European’ thing. However, there are various African icons that have played a major role in shaping the industry into what it is currently today. Icons of South African fashion design include Lucilla Booyzen, who has done so much to help transform South African fashion by giving them a platform to showcase their works. Booyzen is a board member of the World Fashion Council and was the creative force behind the first ever South African Fashion Week in 1997, which she continues to organize each year. SA Fashion Week (SAFW) remains a prestigious event that designers clamor to be part of. The brain behind the African Fashion International (AFI) group, Dr Moloi-Motsepe is another South African fashion icon that is pushing local fashion forward. Moloi-Motsepe established Africa Fashion Week, a platform for emerging designers from all over Africa, with the aim getting them on the international fashion map. The company Legendary Gold Limited, is known for exposing Nigerian designers and models all over the world and is responsible for pioneering Nigeria Fashion week ; a prestigious event which has been home to the biggest Nigerian designers and many others from the continent. These dazzling star-studded fashion affairs like Mercedes Benz Africa Fashion Week (SA), Glitz Fashion Week (Ghana) and Swahili Fashion Week (Tanzania), Zimbabwe Fashion Week, just to mention a few have been springing all over Africa. Other events such as Cairo Fashion Carnival; one of Africa’s high profile events featuring Egyptian and European designers who showcase what they regard as the best of the best in African couture. Unlike many other fashion shows, this event takes place twice a year in Egypt. Every end of year, we are exposed to different billboards, online ads and social media buzz about these events and 2014 has not disappointed. Ann McCreath (Kenya), the legend behind the brand KikoRomeo, in a recent interview expressed her concerns over Africans’ buying attitudes “we lack people that have a passion for retail with 25% buying from supermarkets, 65% buying from stalls while only 10% would shop at a boutique”, she stated. Such statistics leave room for concern over the progress that African fashion is taking. South African designer David Tlale also re-iterated that being an African designer one faces a hard challenge of putting an extra 100% in staying on top once they have secured their spot; “The task is to be growing and never repeating the same story we have done before….. It’s important that younger designers realize that being a fashion designer does not mean being a rock star; it is not a quick cash business. My customers must stop buying my product and pay attention to yours. Just because you are able to put together colors does not make you a designer, go to school, become educated and partner yourself with the relevant people while attaining a proper presence, website, etc” he concluded. Most young designers seem to be struggling on identifying that the fashion industry is first and foremost a business that requires a full-on business plan and a team to carry you to the top. Nigerian designer Mai Atafo shared his views; “I never had to go to fashion school, if you take your brand as a business, you will do well. One should do a product that people will like and buy, not one where you think you are being arty and creative. My heart might be in making shirts but I design wedding gowns mostly. I think business but I have the heart for fashion” he says. Fashion weeks and fashion designers are not a full package without the models that help showcase their products. The world has recently seen notable African models on different runways such as Herieth Paul (Tanzania), Betty Adewole (Nigeria), Ajak Deng (South Sudan), Roberta Narciso (Angola), Candice Swanepoel (South Africa), etc. Most of these models are being associated with notable international brands such as Jean Paul Gautier, Stella McCartney and Chanel and are getting featured on most cover pages of magazines such as Vogue and Elle. There’s a tendency in fashion to focus on female models. Occasionally, you’ll see an interview or little snippet on a successful male model. The male models have not been slacking behind either with names such as Fernando and Armando Cabral (Guinea Bissau), Sacha M’Baye (Senegal), Yassine Rahal (Morocco), Adonis Bosso (Ivory Coast) and Salieu Jalloh (Sierra Leone). 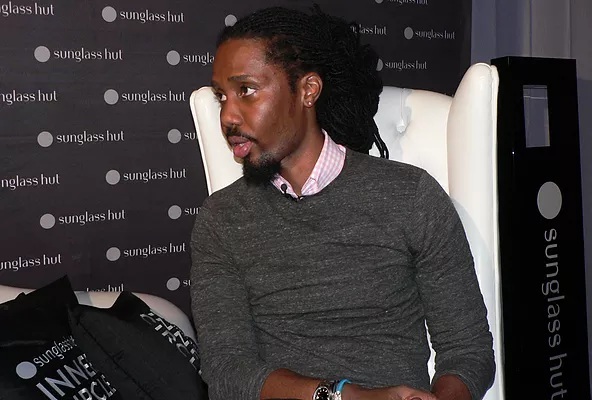 Tanzanian fashion designer, Sheria Ngowi speaks on how the African fashion industry had evovled in the last decade and challenges young fashion designers encounter at start-up. The uncanny ability for young African visionaries who continuously introduce innovative solutions to long-standing fashion challenges and to the icons that have broken down barriers and made it possible for others to dream, Nomad Africa Magazine is dedicated to telling their phenomenal stories and honoring their contributions. Tanzanian fashion designer Sheria Ngowi claims; “Africa is the next super power – we the next big thing”.